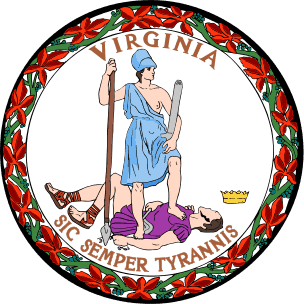 Virginia Landlord Tenant Laws are set forth in the Code of Virginia, Title 55, Chapter 13.2 Virginia Residential Landlord and Tenant Act. The statutes provide the laws, rights and responsibilities of the parties to a landlord tenant relationship. Virginia Landlord Tenant Law also provides remedies in the event that one of the parties violates terms of the rental agreement or other landlord tenant statutes. No part of this information is intended to be a substitute for legal advice. If you have questions or believe you have a case under Virginia Landlord Tenant Law, you should seek the advice of an attorney. Stay up to date on Virginia Landlord Tenant Laws + Save money on tenant screening and other property management needs. Join AAOA today, it’s FREE! Landlords are permitted to require a security deposit, but Virginia Landlord Tenant Law specifies in 55-248.15:1 that the security deposit cannot exceed “an amount or value in excess of two months’ periodic rent.” Upon termination of the tenancy, the landlord is required to return the security deposit to the tenant. The landlord can withhold the amount of money equal to the cost of repairs for damages to the premises caused by the tenant. Virginia Landlord Tenant Law forbids a landlord from withholding any portion of the security deposit for normal wear and tear to the property. After deducting for damages, the landlord is required to return the security deposit to the tenant within 45 days after termination of the tenancy. When you conduct a thorough screening of every applicant with Virginia Tenant Screening and obtain necessary Virginia Landlord Forms, you are protecting yourself and your property. You are also providing required notices with the language required by Virginia Landlord Tenant Law. All states require a variety of forms to rent an apartment to a tenant and Virginia is no exception. Check out American Apartment Owners Association’s Virginia Landlord Forms now.